Lemas Suite Hotel is situated in a dream spot in the pretty Turkish resort of Antalya just footsteps from golden sandy shores and teal-blue waters. Known for its yacht-filled Old Harbour and stunning beaches, this is the perfect place for a family getaway. Make the most of fabulous on-site amenities, tasting dining venues, and comfortable guest accommodation. Find your place by the spacious outdoor pool to relax on a sun lounger to either work on your tan or immerse yourself in a book. For ultimate relaxation, take a trip to the spa to indulge in a massage while the kids have fun making new friends in the playground. Come together as a family for a game of table tennis or billiards in the afternoon. The guest rooms and apartments are kitted out with a host of welcome touches. There's a satellite TV to watch your favourite programmes, air-conditioning to keep cool, and a minibar to help yourself to a refreshing drink throughout the day. Your furnished balcony is the perfect haven to sit and marvel at sunset views with a glass of local wine in-hand. 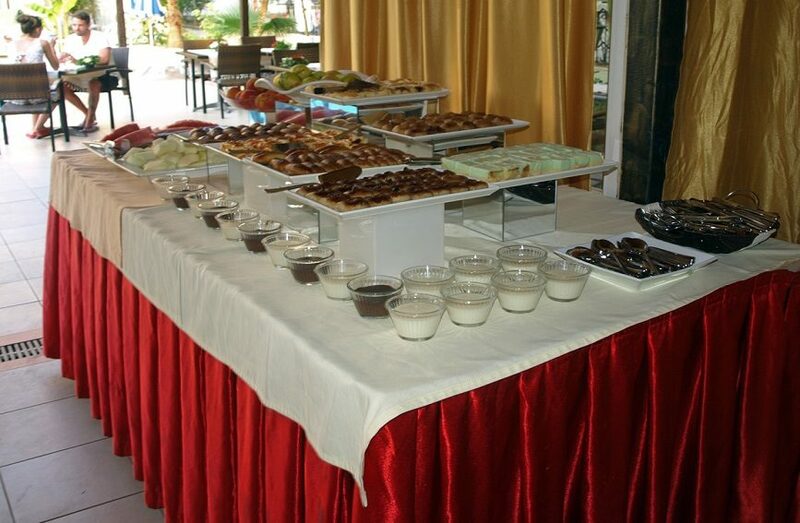 The on-site restaurant is the place for breakfast buffets, light lunches, and a la carte dinners. When the evening comes around, the two bars are the spots for social gatherings, colourful cocktails, and exciting evening entertainment. Turkish nights, discos, and Lemas house parties will keep the family happy all night long. Discover why Lemas Suite Hotel is a popular place to stay for Turkey holidays. The facilities at Lemas Suite Hotel include: two outdoor swimming pools, two children's pools, restaurant, two bars, spa, sauna, Turkish bath, hair salon, minimarket, playground, garden, table tennis, billiards, 24-hour reception, room service, bicycle and car hire, airport transfers, shuttle service, laundry service, currency exchange, luggage storage, and parking. 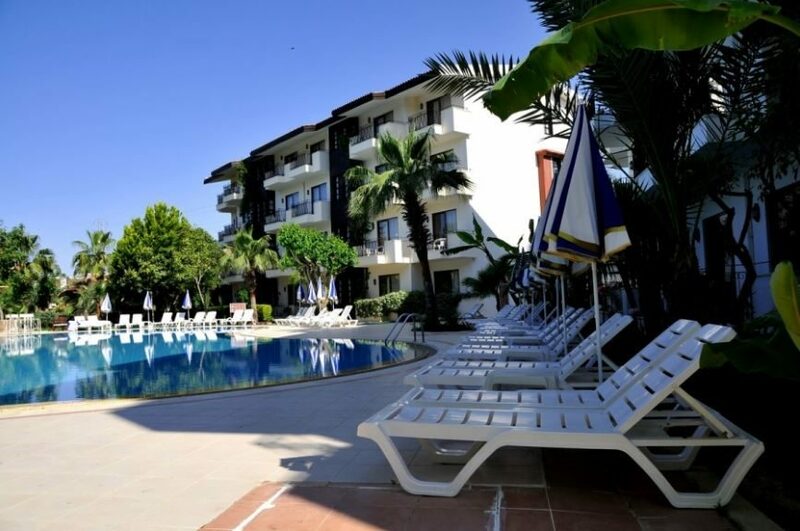 This Antalya hotel has a total of 80 well-equipped and spacious, comprising Standard Twin Rooms, Studio Apartments, and One and Two-Bedroom Apartments. 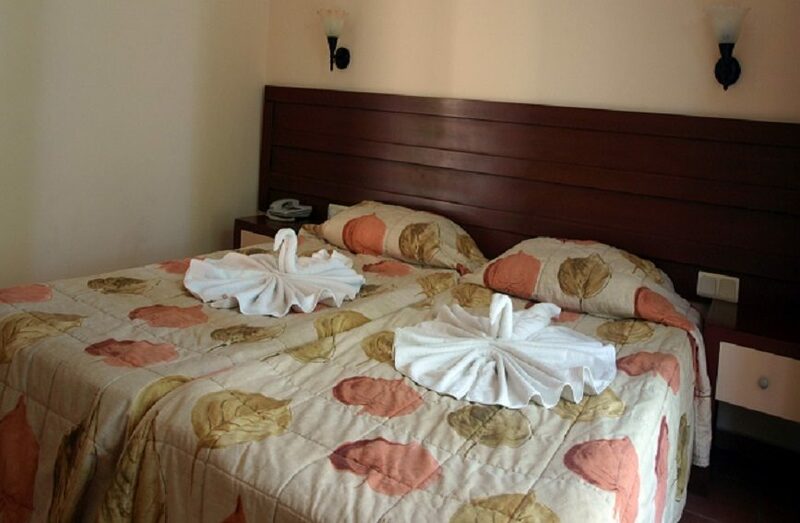 Standard Twin Rooms feature air-conditioning, furnished balcony, satellite TV, telephone, safe, and minibar. Lemas a La Carte Restaurant invites you to enjoy buffet meals combined with a la carte dining for breakfast, lunch, and dinner. Banana Bar and Lemas Bar welcome you with a generous menu of cocktails, beer, wine, spirits, and soft drinks combined with lively Turkish nights, discos, and Lemas house parties.